Have you ever left you looked at a dental x-ray and been confused? Patients are not trained to review x-rays like dentists and dental staffs are. So you often have to take our word for it when it comes to diagnosis. The IntraOral camera changes all of that. At Chattanooga Dental Studio, we utilize the cutting edge technology of IntraOral cameras. While X-rays provide valuable information, they don’t give a complete view of everything that is going on inside your mouth. 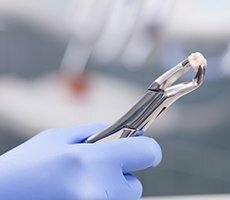 With the use of an intraoral camera, we can see every aspect of your teeth and mouth with incredible detail, uncovering cracked teeth, plaque deposits, cavities next to fillings, and excessive wear. 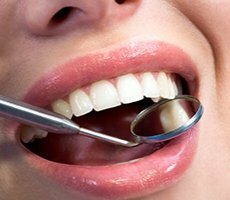 When we can discover oral problems early on, your treatment is much less invasive and much more cost effective. And more importantly, you can see the same thing that we are seeing! You will get a first hand look at the diagnosis, and can make a more informed decision for your own oral health and treatment options! So the next time you visit a dentist, ask them if they have a intraOral camera. Or better yet, come see us. Dr. Robertson is committed to providing the best and most recent technology for his dental patients.